From the Washington Post and Politico to USA Today and the New York Times, the Center for Long-Term Cybersecurity has been in the news in recent weeks. Here’s a round-up of some of our latest media hits. 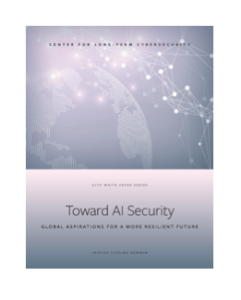 On February 12, CLTC released “Toward AI Security: Global Aspirations for a More Resilient Future,” a new report by CLTC Research Fellow Jessica Cussins Newman. Based on an analysis of ten government artificial intelligence (AI) strategies from around the world, the report highlights divergences between government approaches to the security implications of AI, and also identifies numerous synergies that can be leveraged to support global coordination. Millions of Americans use Fitbits and other personal activity trackers to track their daily step patterns, often as part of their employers’ corporate wellness programs. Manufacturers of these activity-tracking devices have long maintained that each individual’s data profile has been stripped of any identifying information and therefore does not pose a risk to their privacy. 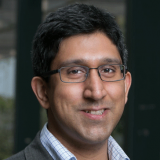 But in a recent paper published by JAMA Network, “Feasibility of Reidentifying Individuals in Large National Physical Activity Data Sets From Which Protected Health Information Has Been Removed With Use of Machine Learning,” CLTC Grantee Anil Aswani and his colleagues showed that it is in fact possible, using artificial intelligence, to re-identify individuals based on their personal tracker data, despite data aggregation and removal of protected health information. In case you missed it, Steve Weber was interviewed by The Hill for a story on Russian interference in the mid-term elections, and he was quoted for the Washington Post‘s Cybersecurity 202 briefing. He was also recently interviewed by ABC7 News, a San Francisco-based news station, for a story on the massive breach of customer data from Starwood hotels. He noted that it’s worth paying close attention to the intentions of the actors behind the attack. “One view is it’s a criminal gang who intends to sell that data on the black market for profit. It could also be a nation-state actor,” said Weber. “Governments are very interested in knowing where particular people were and what hotels they stayed in, at what times of the year and for what events, so there are national security implications as well.” Watch the interview. The Citizen Clinic is a public-interest cybersecurity clinic that supports the capacity of politically-vulnerable organizations to defend themselves against online threats; the clinic supports interdisciplinary teams of students to assess threats to targeted organizations, recommend risk-appropriate mitigations, and to work collaboratively with clients to implement new policies and technical controls that enhance their cybersecurity. 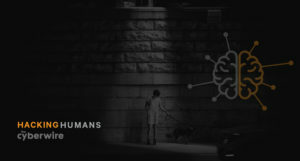 CLTC Research Fellow Sean Brooks, who serves as Director of Citizen Clinic, recently went on CyberWire’s “Hacking Humans” podcast to talk about the initiative. “There’s a huge appetite for direct technical assistance to improve the stability and resilience of civil society’s technical systems, and that demand is not necessarily being met,” Brooks said. “These organizations have done incredible things to pursue their mission and amplify the magnitude of their message by using the internet and reaching a global community of individuals and communities interested in things like defending human rights or environmentalism…. But that embracing of the internet as a critical function to pursue their mission has opened them up for a whole new host of attacks.” Listen to the interview (or read the transcript) here.